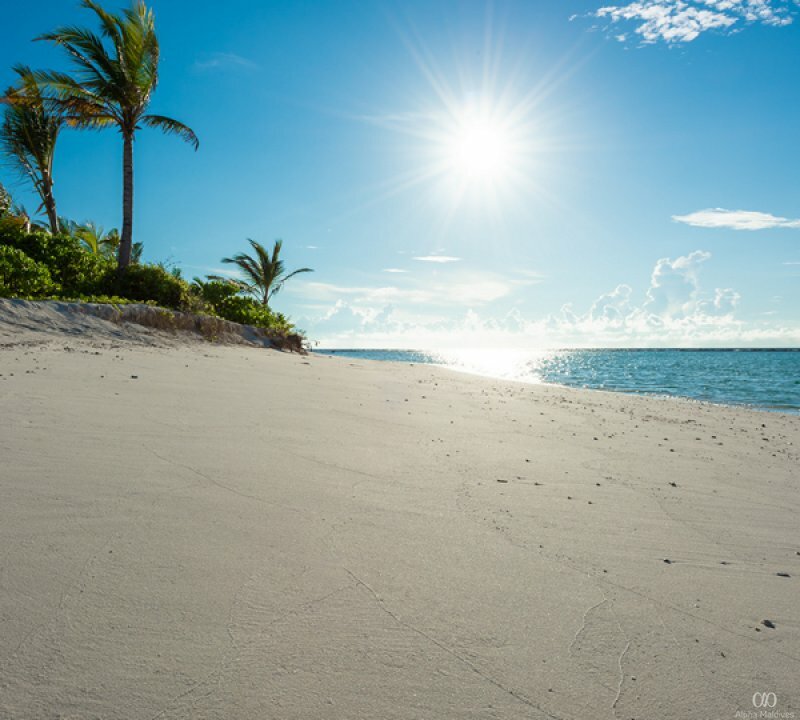 An island haven located in Noonu atoll, thick virgin vegetation, a gleaming turquoise lagoon and pristine beaches make up the island of Kuredhivaru. Here, colourful marine life, invigorating spa experiences and tempting cuisines welcome you. The resort is a 45-minute seaplane ride away from Male International Airport and can also be reached via domestic flight or speedboat. 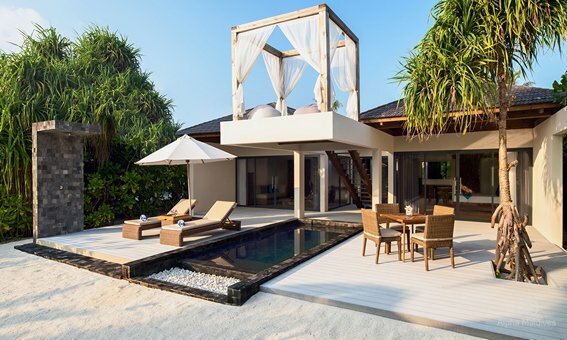 Overlooking the shallow lagoon and nestled in the thick greenery of the island, the overwater pool villas, beach spa pool residences and beach pool suites all promise undisturbed privacy, serenity and an experience you will not forget. Large open spaces, shaded gazebos, a plunge pool with sun loungers, tropical gardens and views of the shimmering ocean welcome you outside. Indoors, the floor to ceiling windows, stand-alone bathtubs, a large living space, and the worldly comforts of a vacation home invite you in. 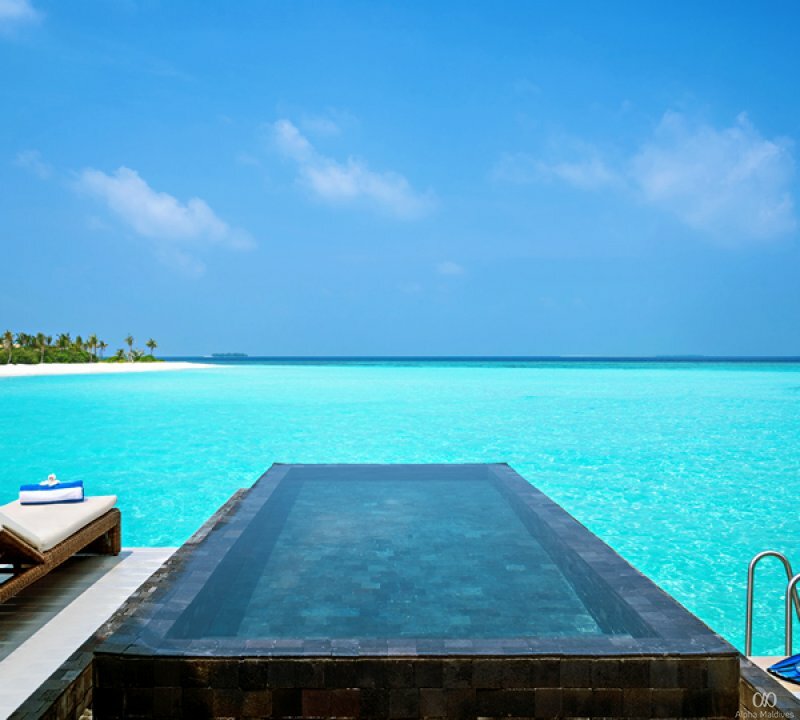 Outwards into the ocean, with nothing but the horizon ahead is the Overwater Pool Villa Ocean. Offering uninterrupted ocean views and sunlight from the floor to ceiling glass windows, glass bottom floors, and the private plunge pool, the villa makes for a truly tranquil escapade. Step out to the outdoor deck and work on your tan during the morning. Come night, the starlit night sky and the balmy evening breeze will mesmerize you. 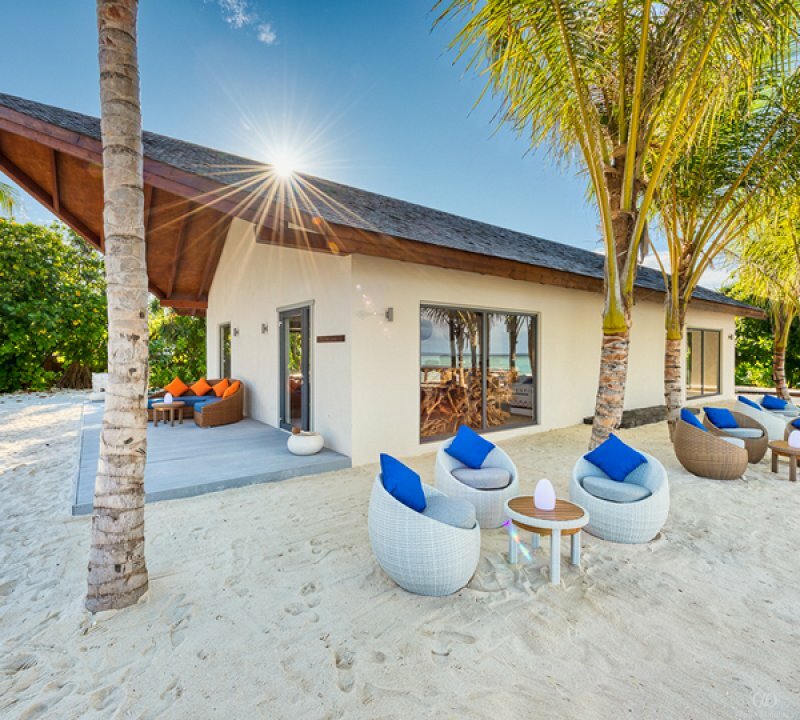 Wake up with the rising sun at the Overwater Pool Villa Sunrise Ocean, where the sun and the sky puts on a show for you every morning. 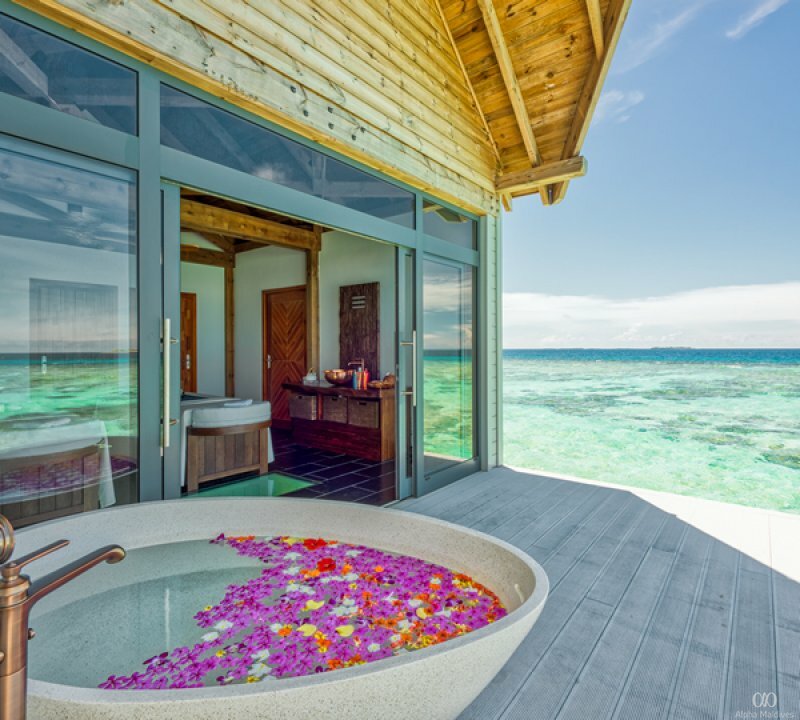 Offering uninterrupted ocean views and sunlight from the floor to ceiling glass windows, glass bottom floors, and the private plunge pool, the villa makes for a truly tranquil escapade. Step out to the outdoor deck and work on your tan during the morning. Come night, the starlit night sky and the balmy evening breeze will mesmerize you. 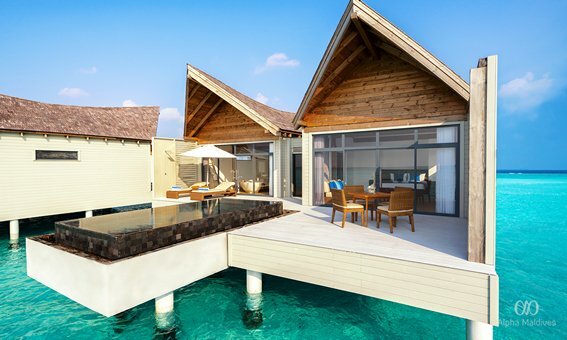 In the shallows of the lagoon, with marine life bustling all around you is the Overwater Pool Villa Lagoon. Offering uninterrupted ocean views and sunlight from the floor to ceiling glass windows, glass bottom floors, and the private plunge pool, the villa makes for a truly tranquil escapade. Step out to the outdoor deck and work on your tan during the morning. Come night, the starlit night sky and the balmy evening breeze will mesmerize you. 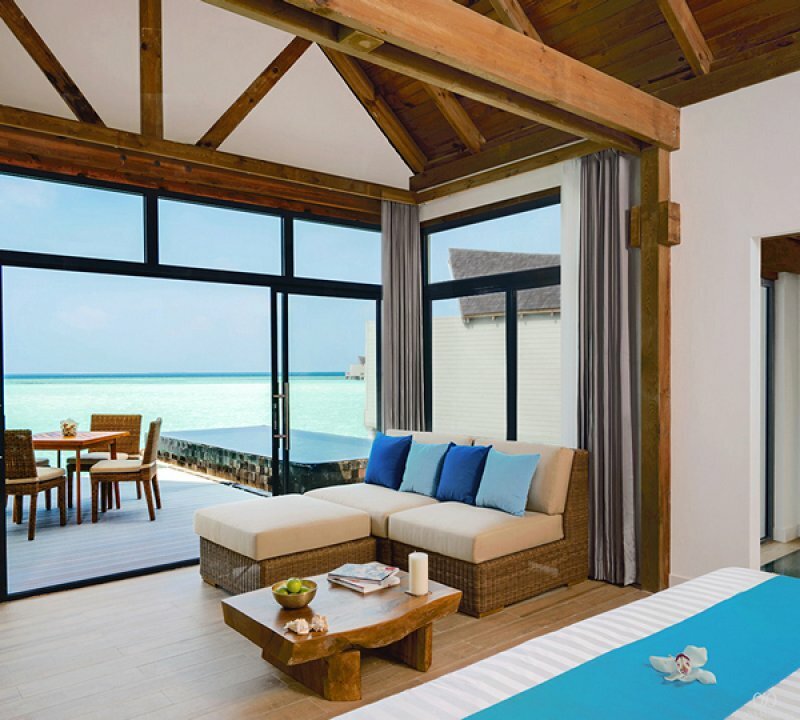 Perched amidst the lagoon, the Overwater Pool Villa Sunrise Lagoon invites you to wake up everyday with the island, with a Mövenpick coffee in hand as the sun rises over the horizon. Offering uninterrupted ocean views and sunlight from the floor to ceiling glass windows, glass bottom floors, and the private plunge pool, the villa makes for a truly tranquil escapade. Step out to the outdoor deck and work on your tan during the morning. 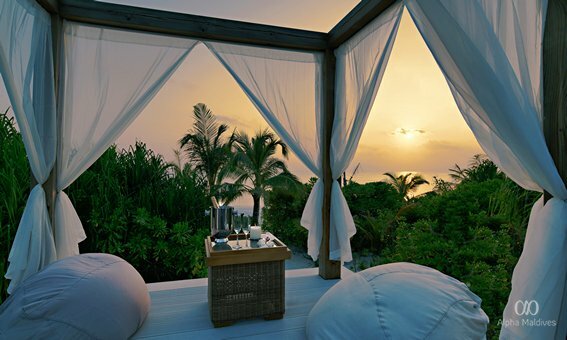 Come night, the starlit night sky and the balmy evening breeze will mesmerize you. Whether an early bird, a night owl or somewhere in between, Beach Pool Suites offer plenty of options from Sunrise, Sunset and Beach Pool Suites to choose from. 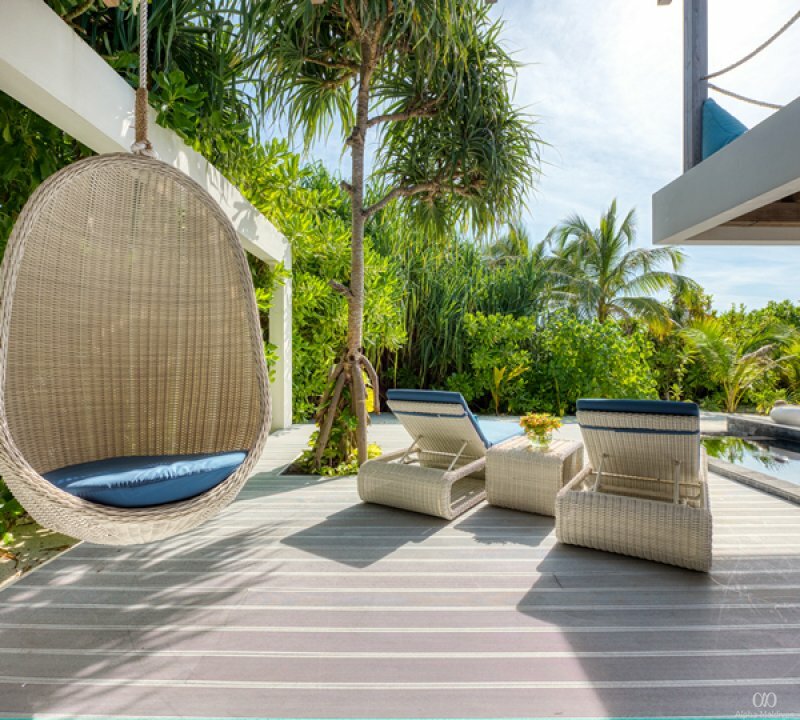 Accommodating up to 3 adults or a family of 4, the two-story villa comes with a private plunge pool, sun loungers and a private garden sanctuary to bask in the sun. The bedroom comes with a king size bed and the expansive living area has a sofa bed for additional guests. 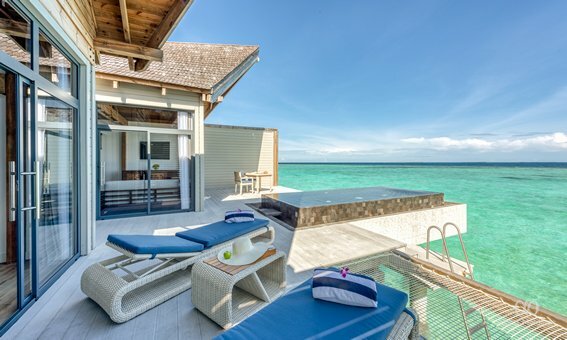 Step outside and atop the private sala deck overlooking the horizon and enjoy the vistas ahead as you indulge in your morning coffee or a nightcap under the stars, lounging on a beanbag. The Beach Pool Suite Sunset offers undisturbed privacy, serenity and luxury. 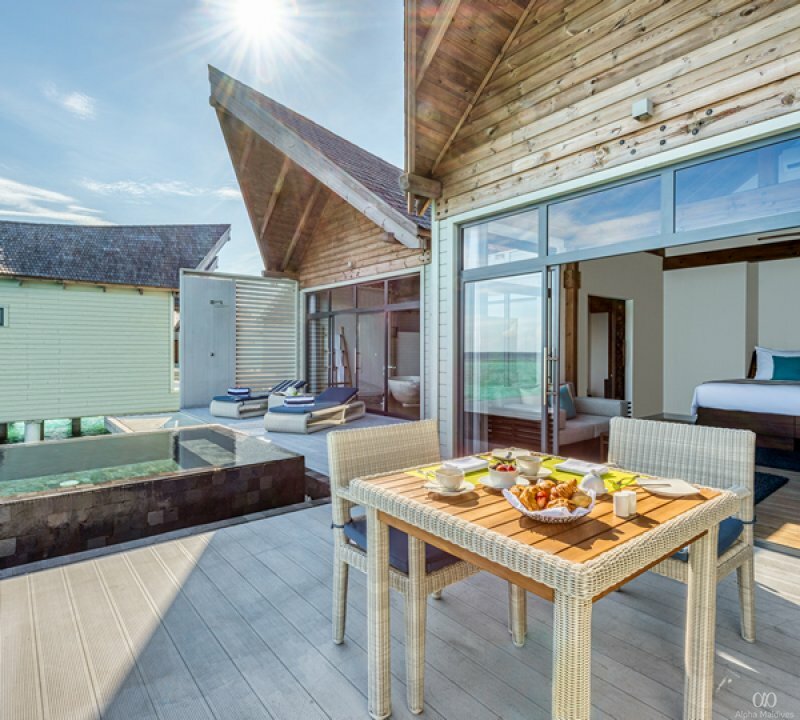 Accommodating up to 3 adults or a family of 4, the two-story villa comes with a private plunge pool, sun loungers and a private garden sanctuary to bask in the sun. The bedroom comes with a king size bed and the expansive living area has a sofa bed for additional guests. 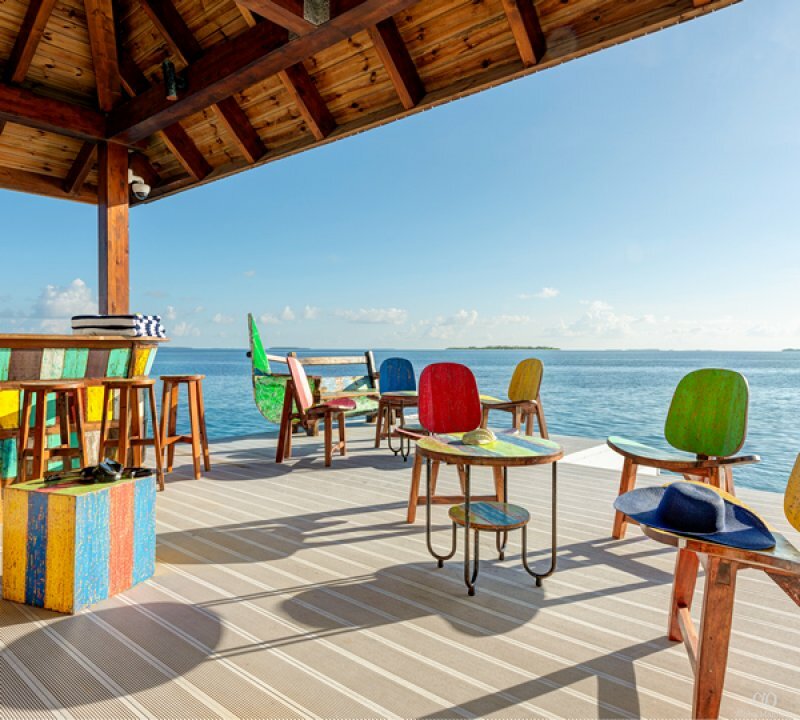 Step outside and atop the private sala deck overlooking the horizon and enjoy the vistas ahead as you indulge in your morning coffee or a nightcap under the stars, lounging on a beanbag. 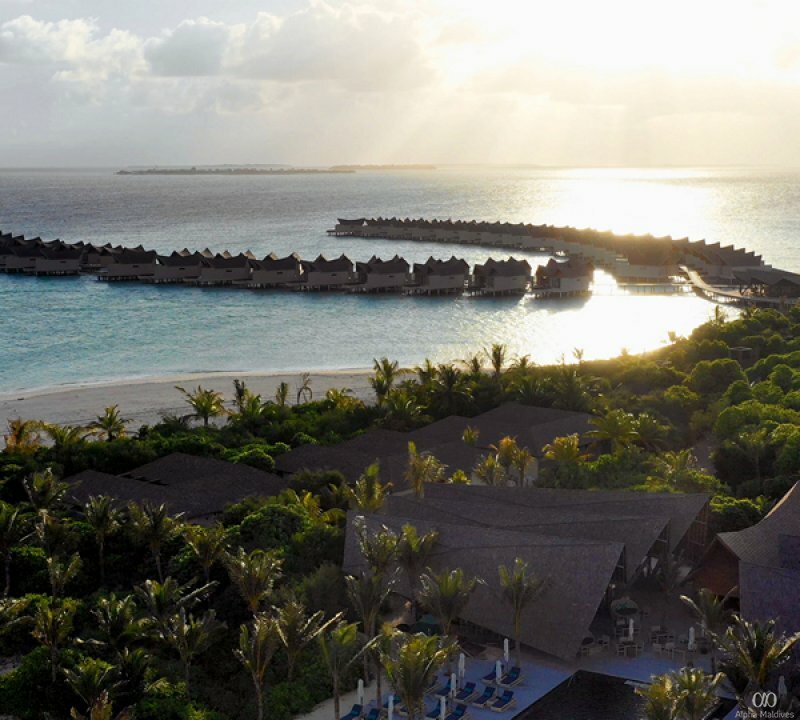 A sanctuary over water, the Beach Pool Suite Sunrise makes for an unforgettable holiday stay. 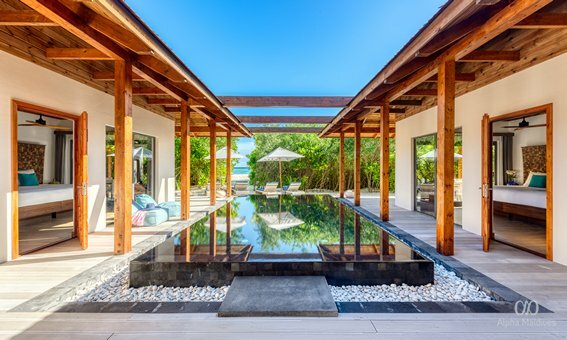 Accommodating up to 3 adults or a family of 4, the two-story villa comes with a private plunge pool, sun loungers and a private garden sanctuary to bask in the sun. The bedroom comes with a king size bed and the expansive living area has a sofa bed for additional guests. 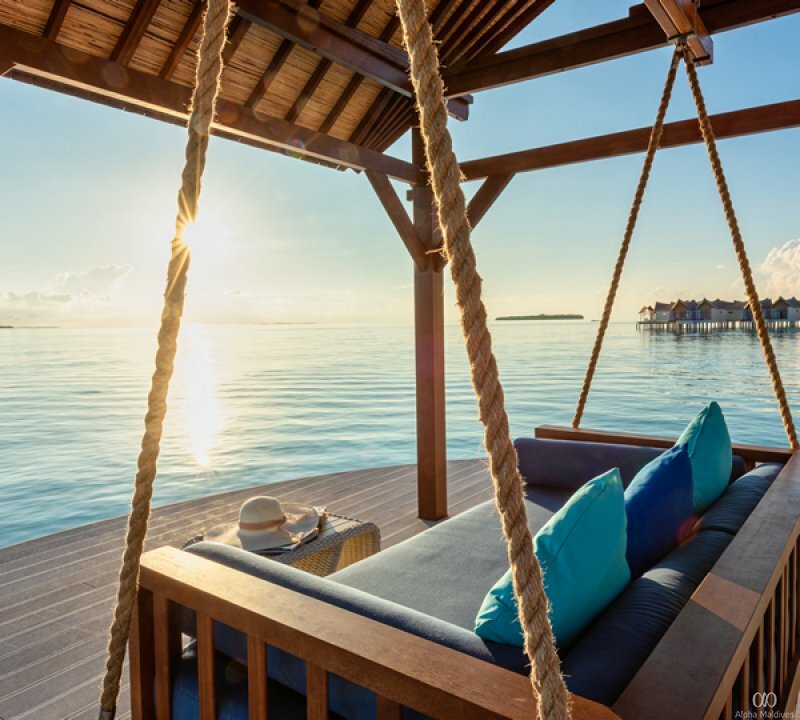 Step outside and atop the private sala deck overlooking the horizon and enjoy the vistas ahead as you indulge in your morning coffee or a nightcap under the stars, lounging on a beanbag. Nestled amidst the thick island greenery, this three-bedroom haven is the ultimate holiday home, be it friends or family. Unwind and take in the serene surroundings from the ceiling to floor length glass windows. Spend the afternoon in the garden lounging on the patio and cool off with a dip in the shimmering private plunge pool. Two bedrooms come with king size beds and standalone bathtubs while the third room comes with twin beds and an en-suite bathroom. With indoor and outdoor dining areas large enough to seat 6, plenty of nooks and crannies to curl up with loved ones, the residence also comes with modern amenities and fixtures to make your stay comfortable. A daily complimentary 1-hour couple massage with the in house therapists in your very own private spa is the ultimate cherry topping here. Coffee and fine wines, chocolates and scrumptious sweet treats, fine dining, decadent market style organic spreads, sizzling barbecues and fresh mussels, crab and shellfish await you here. 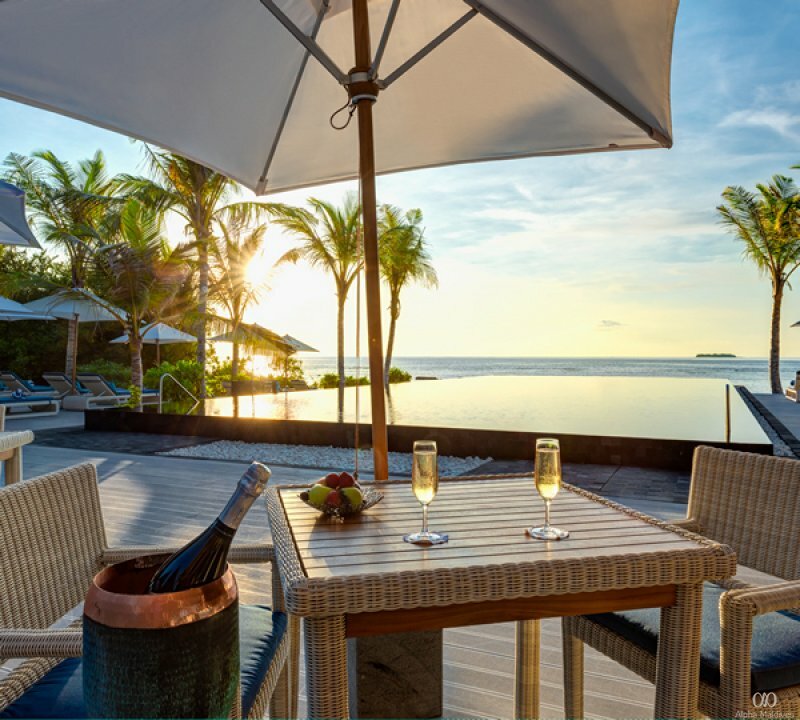 International cuisines with a local touch, modern fusions, gastronomical delights and personalised treats allow for a sensual private experience here at Mövenpick Kuredhivaru. 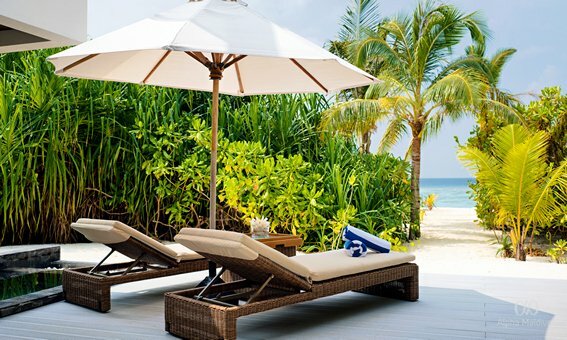 Champagne breakfasts, lagoon lunches, bubbly cocktails at sunset, dinner under a starry sky, private barbecues and castaway dining with only you and your loved one in sight, the options here are endless. Be it an all time favourite or an experimental request, our chefs work to create a magical and sensual experience for you. Wind down and cool off with chocolates, fine wines, homemade ice creams and freshly brewed coffee. 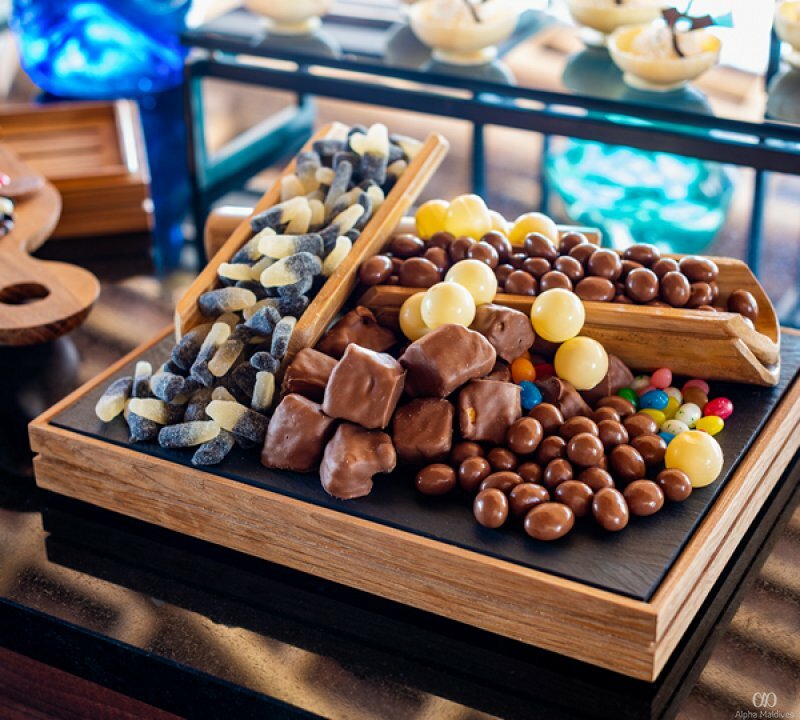 Step in for the complimentary Mövenpick Chocolate Hour and gorge on decadent chocolates, sweet treats, sorbets and fondue. For an intriguing wine tasting session allow the in-house sommelier to take you on a journey of exploration with our fine wines at the Coffee and Wine Lounge. The Swiss market-style restaurant is a breezy, open space offering healthy bites off the Go Healthy menu, curated theme nights and live cooking stations courtesy of the in-house chef. 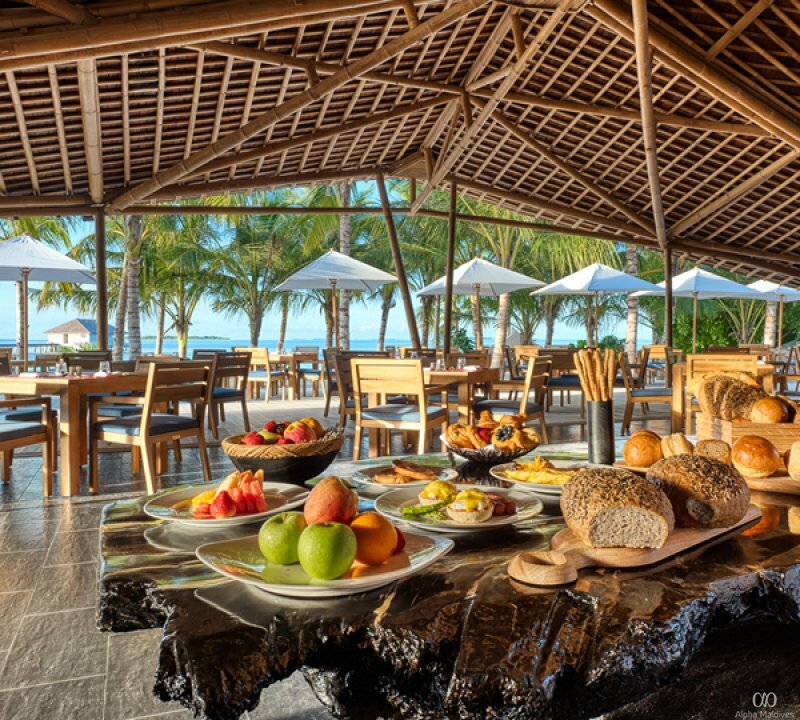 Offering à la carte and buffet breakfast, lunch and dinner, in addition to weekly theme nights, ONU Marché presents locally sourced comfort food and authentic Maldivian specialties. 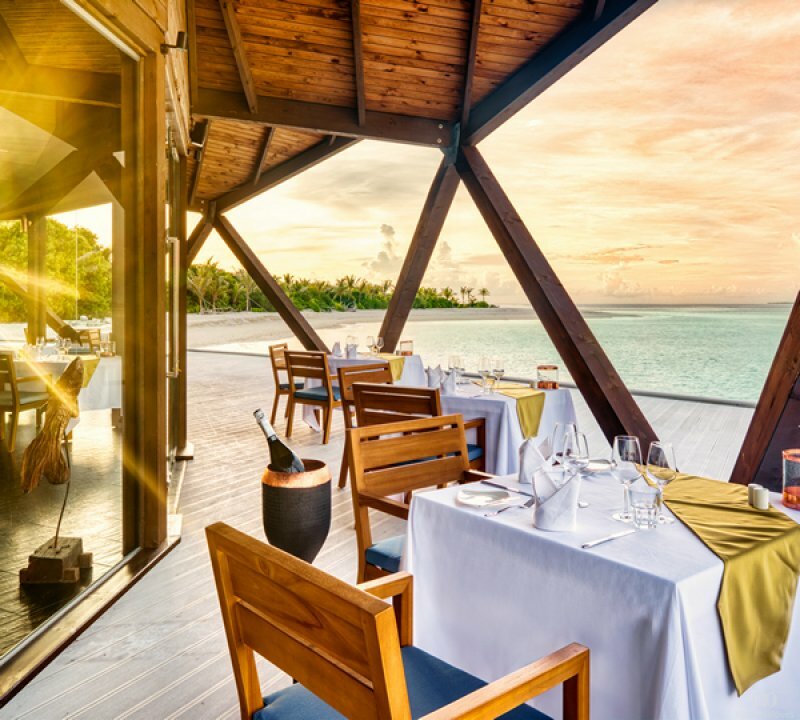 With mesmerising views of the ocean from all directions, Bodumas stands on an overwater pavilion serving delectable, fresh seafood feasts with influences from across the globe. Let the sommeliers recommend you a wine that would complement your palate and your dish, and allow the starry nights and the balmy ocean breeze make for an unforgettable night. 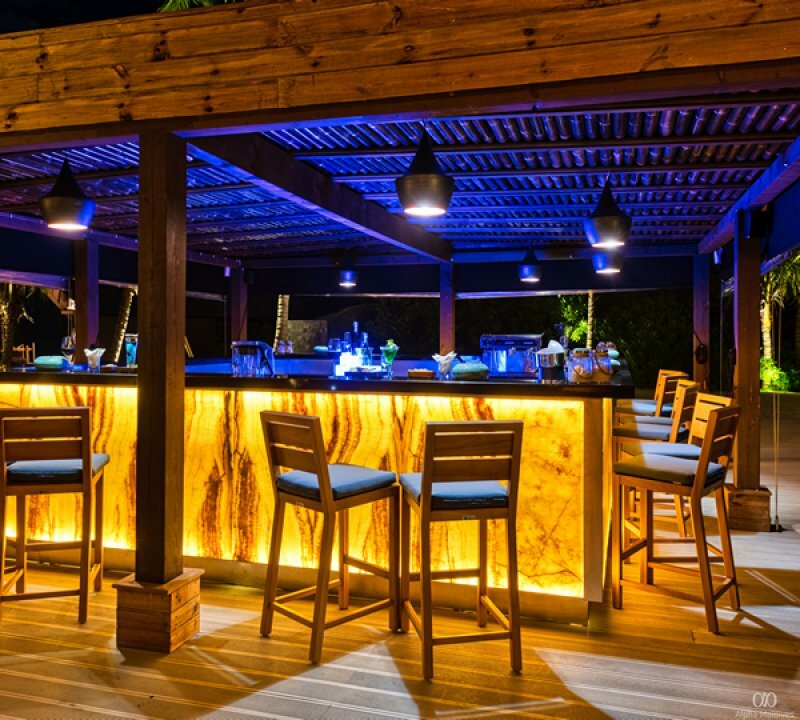 The island’s poolside restaurant is relaxed, enthralls you with mesmerising ocean views and serves excellent grilled meats. The open kitchen serves Indian, Middle Eastern, Asian and Western cuisine. Step in for ‘Dhoni’s Catch of the Day’ for lunch, and for dinner, Latitide 5.5 serves sizzling jumbo prawns fresh off the grill, Wagyu beef rib-eye and other meat lovers’ favourites. 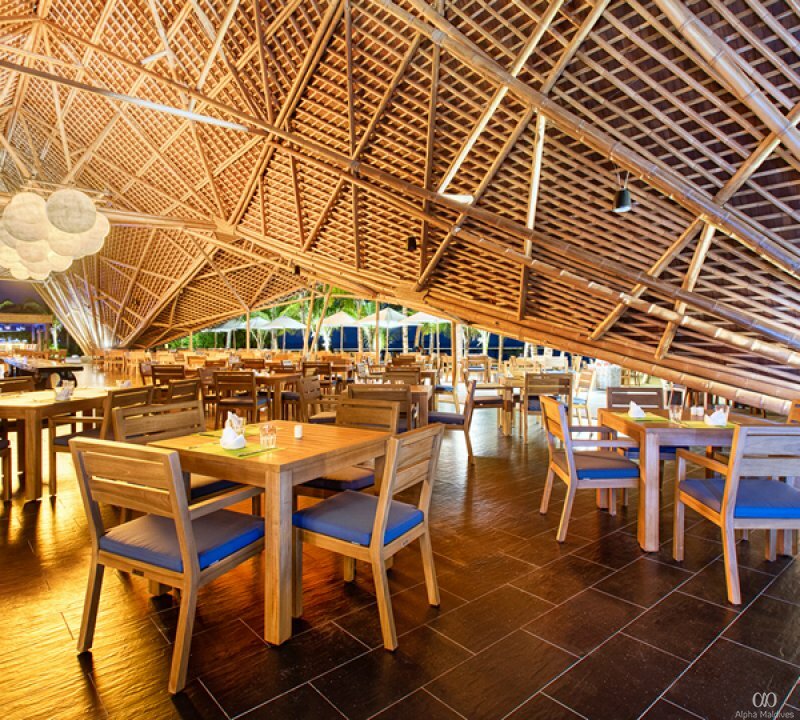 Watch the sunset over the Indian Ocean horizon as you sip on interesting concoctions and unwind in paradise. 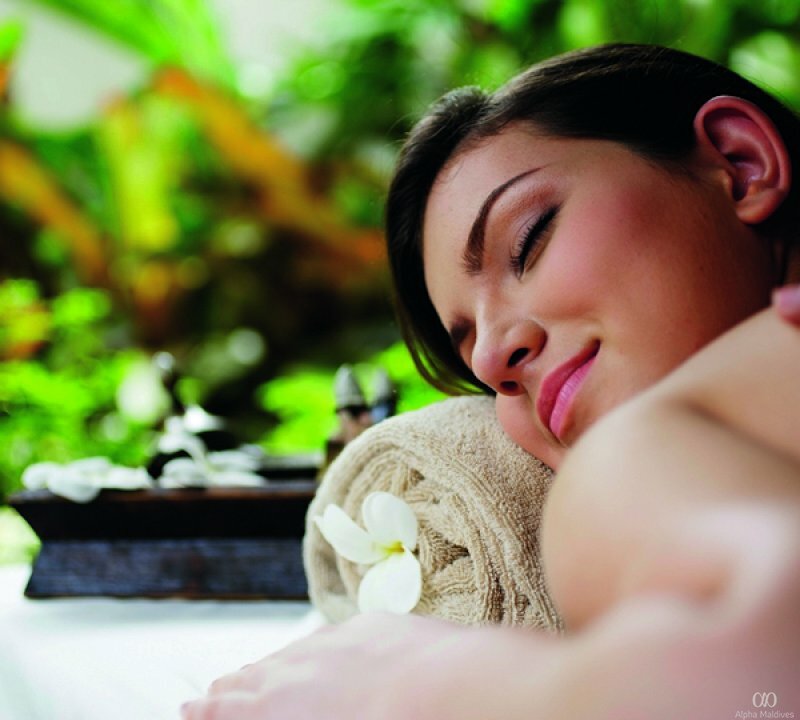 A holistic approach to wellness, the Sun Spa by the French skin care brand Esthederm will fill you with positive energy, invigorate your senses and rejuvenate your body. With proactive ingredients, replenishing oils, calming lotions and technology that would respects your skin and your body, the treatments are guaranteed to show an immediate difference. 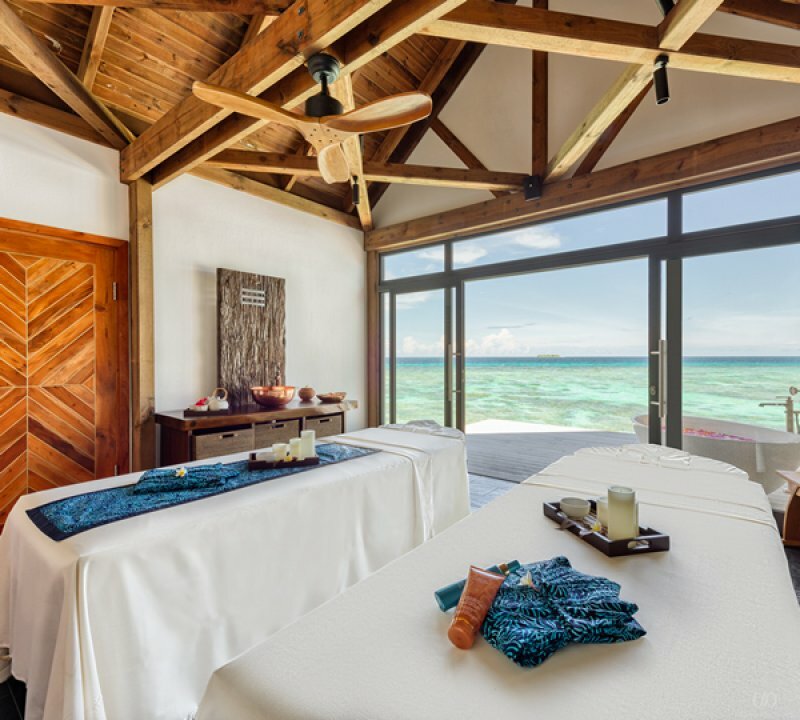 Choose between jungle treatment rooms surrounded by lush gardens, and overwater treatment rooms where the gentle sounds of the lapping waves offer a serene experience. 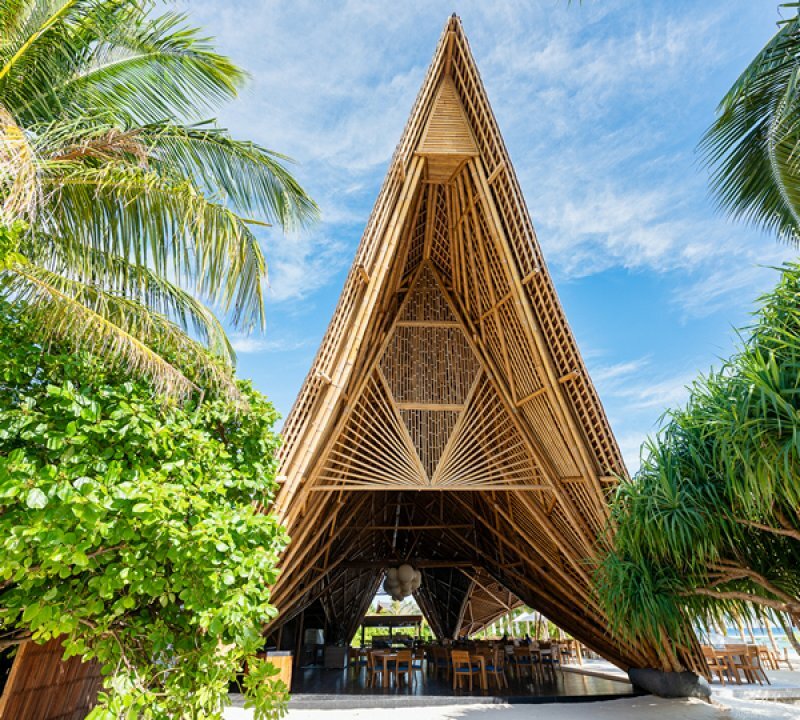 The spa includes a beachfront fitness centre complete with state of the art equipment, an array of yoga classes at the overwater sala, and the resort’s signature Go Healthy menu. Fun time does not end at the island here; from ocean explorations to island hopping, the possibilities here are endless. Snorkeling around the house reef, sailing the seas on a starry night with a glass of champagne in hand, exploring the ways of the natives, swimming with turtles and dolphins aboard snorkeling safaris, sunset fishing, and an array of outdoor and watersports, both motorised and non motorised are some of the excursions offered. Home to colourful fish species, nudibranches, mantas, spinner dolphins, turtles, guitar sharks, stingrays, and different types of sharks, the diving locations here offer mesmerising views that will leave you spellbound. Some of the famous dive spots include Raafushi, Christmas Tree Rock, Orimas Thila. From novices to experts, the PADI dive team at the resort offers certification, plenty of fun dives, and discovery dives to choose from. The little tots are royalty here at the Little Birds Club. 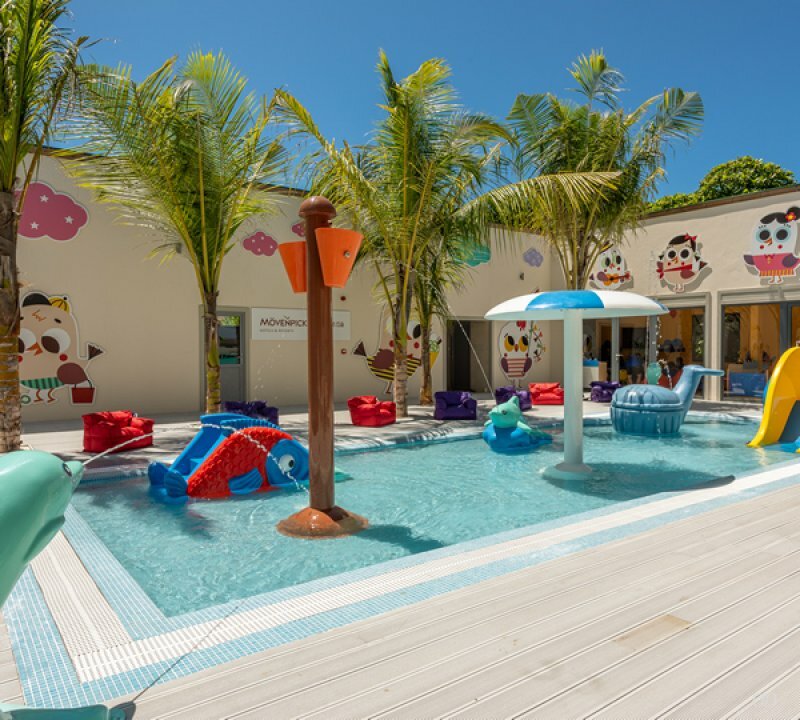 With an array of activities, puzzles and games available, the Club keeps them entertained and spark their curiosity in a fun, responsible and educational way with the expert team. 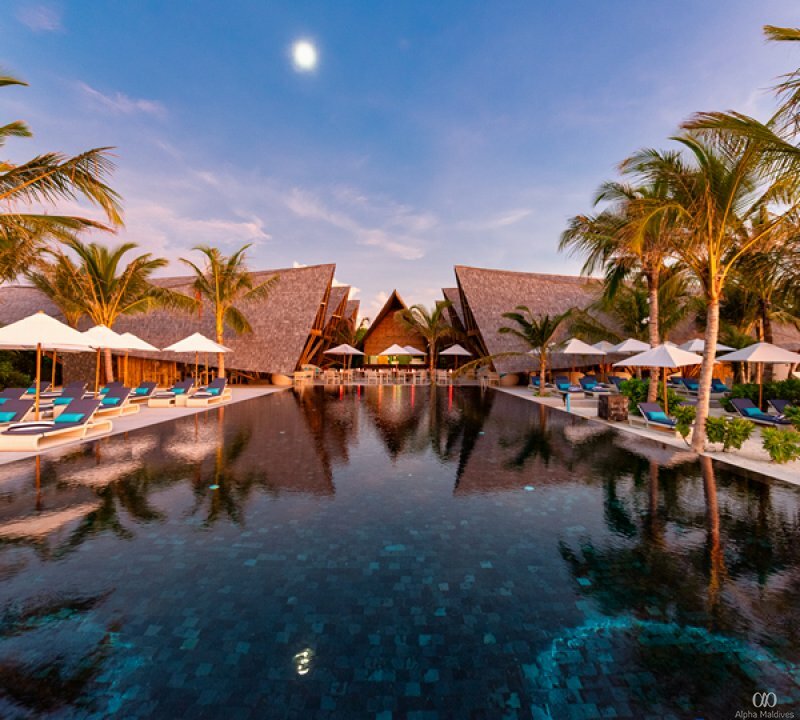 Say I do in the tropics in splendor at Mӧvenpick Resort Kuredhivaru Maldives. 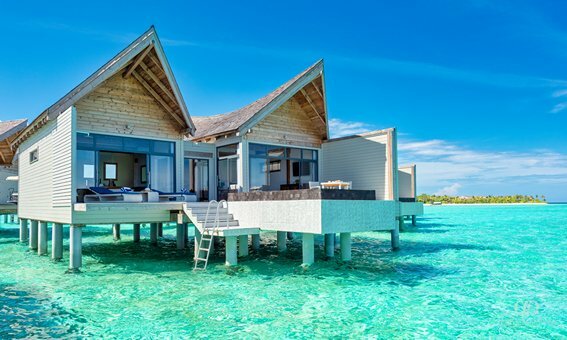 From private islands to yachts to the perfect sunset wedding in our overwater yoga sala or even a reception underwater with its colourful residents, the venues are endless. Tell us your story and allow our experts to whisk you away on your special day with personalised touches and attention to detail.